Do you have a video or music file on your iPhone that you want to transfer to your iPad? Maybe because the video or song will look, sound and feel better on your iPad. It can also be because you need to create more space on your iPhone and one of the ways you can do this would be to transfer some of your video and music files to another device such as your iPad. Whatever the reason you want to stream video and music from iPhone to iPad, you need a reliable way to do it. That’s why we want to share with you the top 3 apps to stream video and music from iPhone to iPad. Part 2: Can You Stream iPhone to iPad via Bluetooth? 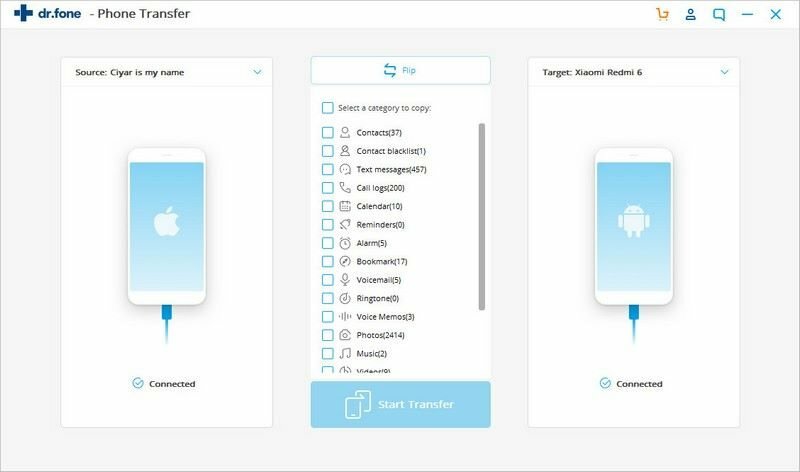 iSkysoft Toolbox - Switch (iOS&Android) is an easy to use solution that allows you to transfer just about any file from one device to another. 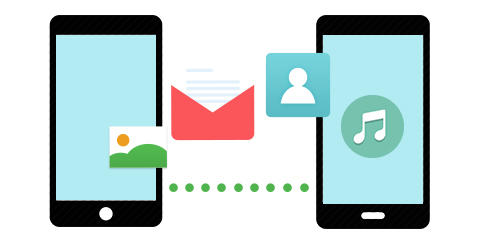 With iSkysoft Phone Transfer you can transfer data such as music, photos, videos, text messages, and contacts or even call history between devices. It is also very easy to use and compatible with all iOS devices. 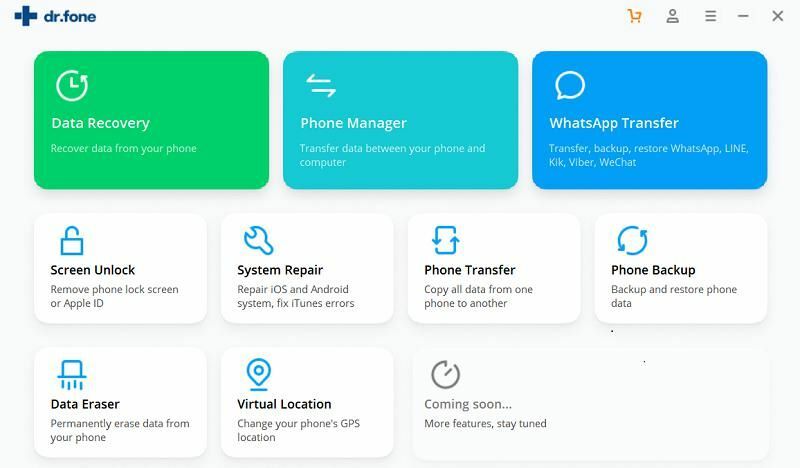 Some of the features that make iSkysoft one of the best phone to Phone transfer apps include. It is very easy to use and works with all iOS devices. 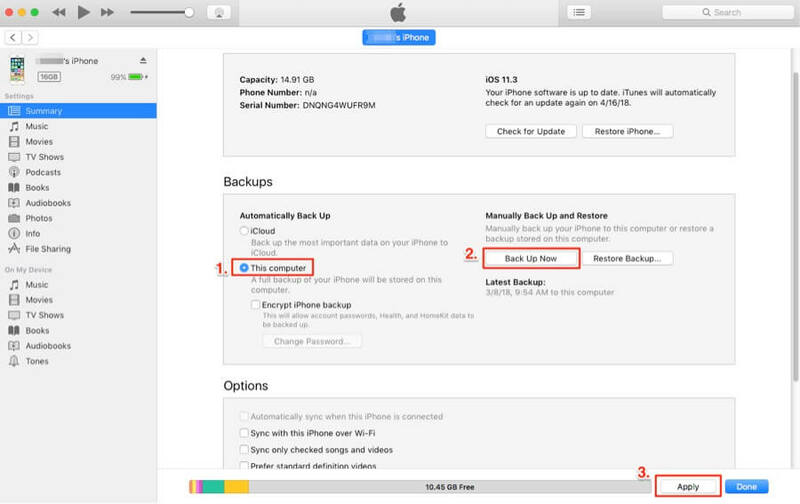 It also allows users to easily create a complete backup of their iOS device. All data transfer is safe. This means that you can watch the iPhone video on your iPad without any fear that the video file will be altered in any way. Step 1. The first thing to do is to download and install iSkysoft Toolbox - Switch (iOS&Android) to your computer. Once this is done, launch the program to begin your transfer and then follow these very simple steps. When you launch the program for the first time, you should see the following primary window. Step 2. Next, connect both the iPhone and the iPad to your computer using USB cables. Click the "Switch" tab to open the transfer window. You will then see the two devices with the transferable data. Step 3. Finally, select the files you would lie to transfer to your iPad and then click "Start Transfer" to transfer them. 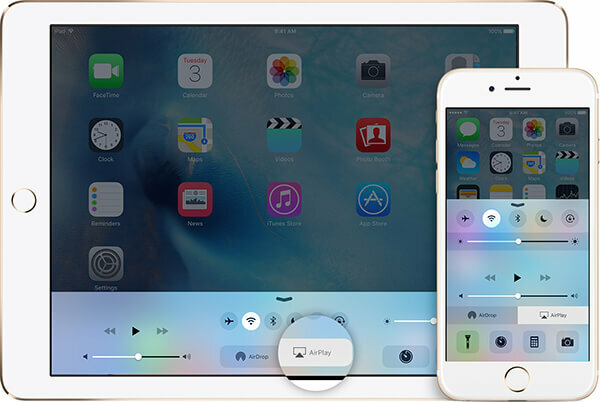 AirView is an iOS app the essentially transforms your device into an AirPlay video receiver. 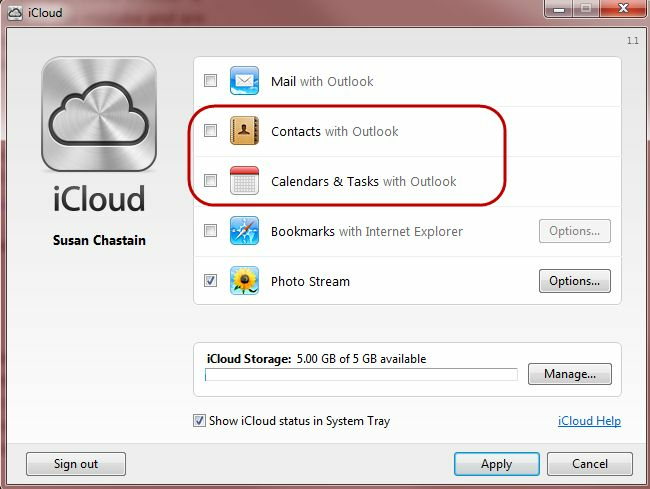 Its features work in such a way that you can grab AirPlay streams from iTunes on your computer or even stream videos from one iOS device to another provided they are both running iOS 4.2 and above. •It is free to download and use. 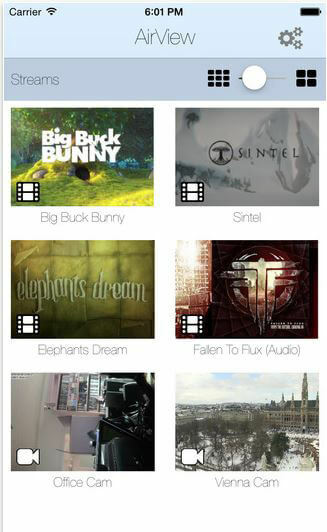 •Allows you to easily stream videos from one iOS device to another. •It is also very simple to use. •It doesn’t support DRM content. •Can be a little buggy. •It can’t be used to stream Music. Airplay is a cool Apple feature that allows you to wirelessly stream videos, music and photos from your iPhone to Apple TV and even stream music to AirPlay speakers. The feature has been well received by most iOS device users and its ability to stream media has made it invaluable. •Because it comes with the iOS device, it is very easy to use. •It constantly gets updated which means the service is constantly evolving to provide the best service. •Not all products are AirPlay compatible which means you may not be able to stream media to all device. •Video and photo streaming options are limited. •You need to use Wi-Fi or Bluetooth to stream media. Another option would be to use Bluetooth to stream video and audio from your iPhone to iPad. But you cannot use Bluetooth to transfer files between iOS devices directly, it can only be used to connect to other Bluetooth devices such as speakers, headphones or your car. The other way to transfer music files from your iPhone to iPad is by using AirDrop. 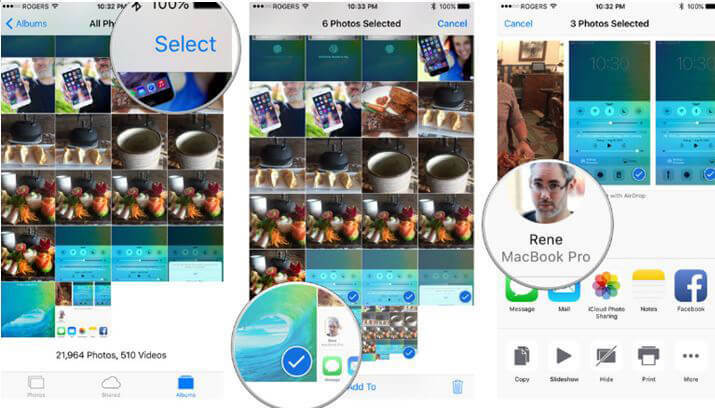 AirDrop allows users to share any files from any iPhone or iPad app that includes the Share sheet. 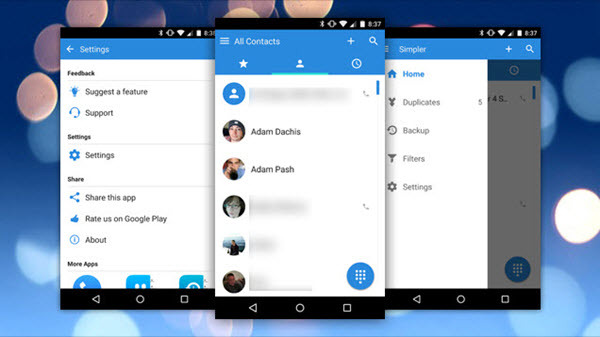 You can share these files with anyone and any devices that show up in the share sheet. Here’s how to do it. Step 1. Select the file you would like to send via Airdrop. In this case, select the particular Music file you would like to send. Step 2.Tap the Share Button. Step 3.Tap the person and device you would like to send the music file to. This is the iPad you want the song to appear in. As compared to other methods, this may not be the ideal way to stream media from one device to another and most of the time it may not work very well. This is because you need to be connected to both Bluetooth and Wi-Fi. You also require a strong Wi-Fi connection to send the files, unlike iSkysoft which doesn’t need Wi-Fi to work.